The 21-year-old Holland international was interesting Manchester City and Paris Saint-Germain. But yesterday Barcelona’s Twitter account oozed: “A new artist is coming next summer.” The fee: €75m. 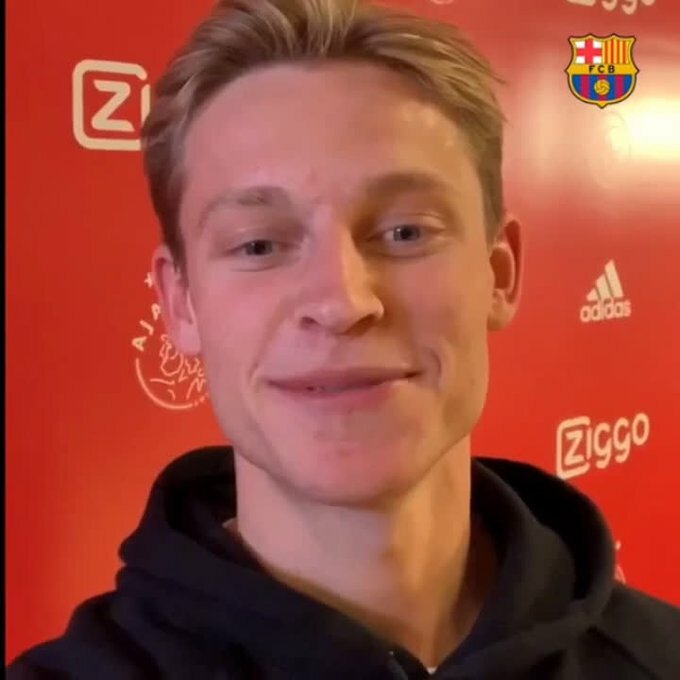 “With the arrival of Frenkie De Jong we add talent, youth and Barça style [aka Akax redux] to our sporting project,” said the club’s president Josep Maria Bartomeu. 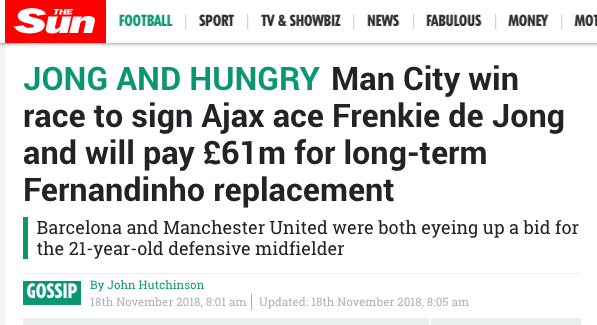 “We are convinced that he will be a key part of our team for years to come.” Comment from Manchester City comes there none.